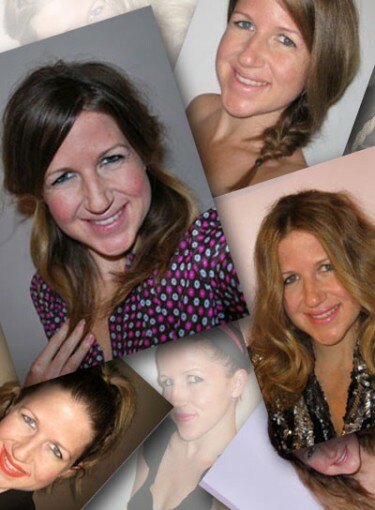 I must admit — I’m a repeat-the-same-outfit/hairstyle/makeup offender. When I find something I think is perfect for any occasion, I wear it to death, all the while thinking, “I’m seeing a different group tonight that will never remember this shirt or updo.” Then it happens: I encounter the one random person who crosses over between party crowds and remembers how much they loved “that shirt and bun.” Dangit. Click here to see 30 days of totally new hairstyles. So this year my resolution is to switch things up. I’m staying true to my outfit repetition — I may not be rich but I can do laundry — but I’ll be armed with 30 different hairstyles to throw the crossovers off. I think my little black dress or favorite jeans will be a lot less noticeable if my hair looks completely different — not to mention fabulous — whenever I go out. So grab a cup of hot chocolate, get into your Snuggie and flip through to find a different look for each day of the month that will hopefully inspire you to rev up your hairstyle. Disclaimer: I am SOOO obvi not a model. So my apologies for the occasional “Zoolander,” mirror-face smile — trust me I tried not to. Just use your imagination to put yourself in the style before deciding whether you like it or not. Then tell us your thoughts — and if you do try one tell us all about it. Happy hair-ing!